Hi Everyone! It's Kathy today with a layout I created using the new Touchdown Collection. I live in Patriot's Nation...we are about 15 minutes from the stadium, so needless to say, there are many rabid fans in our neighborhood! Every playoff game is celebrated in grand style. I found this picture from one of the games in 2012... all the neighborhood kids were decked out in their Patriot's finest! I can't say enough about the word stickers that are on the This and That Sheet... I love adding little clusters of them! 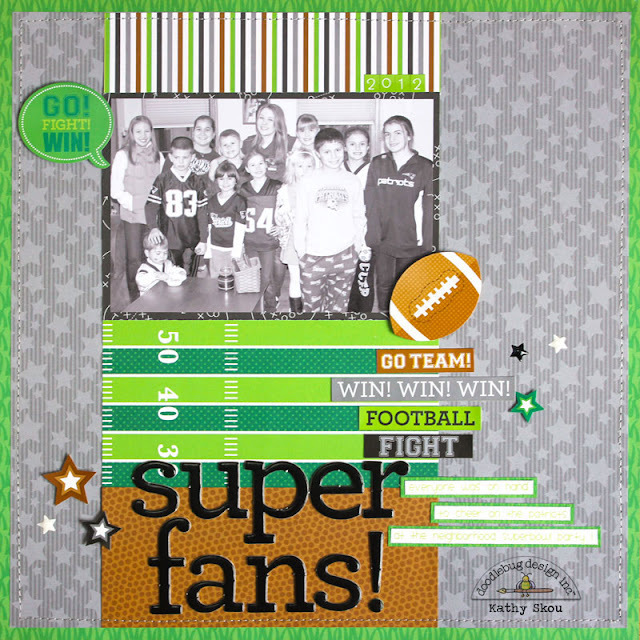 I also fell in love with the Football Doodlepop... the cute stitching is perfect! I added some Star Shape Sprinkles from the Graduation assortment from last year... 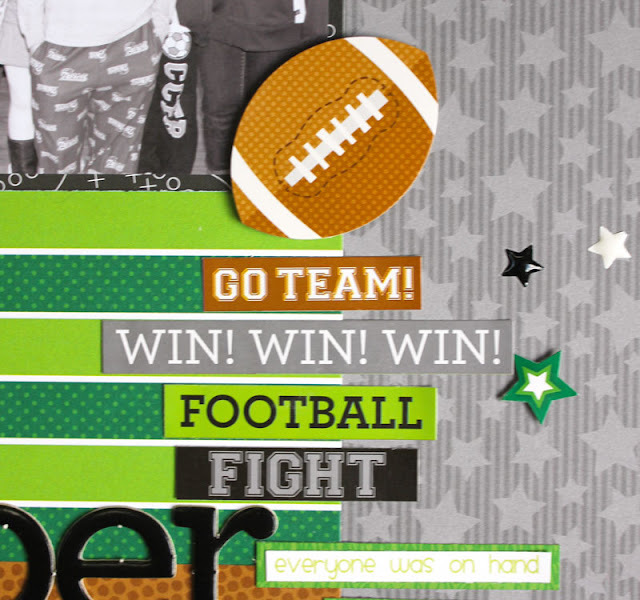 I love how all Doodlebug Collections work well together! That's it for me today. Make sure to stop by all this week for more Touchdown inspiration! Gorgeous lo!! That star paper is amazing!! 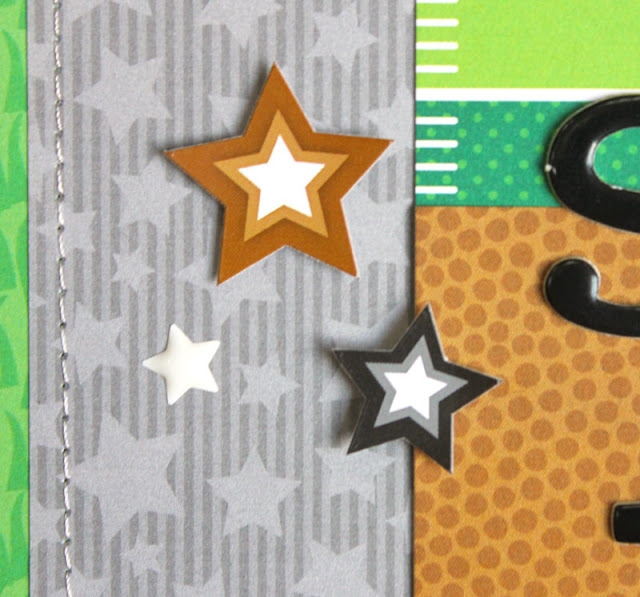 You're rocking these sports themed collections!! Love it! Fabulous layout, love the design! The stitching looks amazing! Aw, this is so cute! I love the b/w picture with the bright green of the football papers. Fabululous layout! I love it!